Finding Christmas travel deals can make you merry. But where are the deals? Eager to deck the halls, trim the tree and stuff the stockings? Whether traveling home for the holidays or jetting off for a destination getaway, travel during the festive season can be expensive, frustrating and difficult to navigate smoothly. Lucky for travelers, Christmas travel deals make it easy and cheap to find flights and jet away to spend time with loved ones or enjoy a merry getaway. Christmastime travel deals abound, you just need to know how to find them… Here are our tips for booking an affordable and stress-free holiday. Reports show that airfares increase the closer we get to the holidays, so there is no more time to delay booking your flight if you are planning to take to the skies this year. And, don’t end the procrastinating there. Last-minute packing, staying at the office to wrap-up just one more thing before dashing to the airport — or even planning to hop into a cab instead of pre-arranging airport transportation — increase the odds of making your holiday travels anything but festive. Instead, get a head start on your New Year’s resolutions by becoming the advanced planner who isn’t derailed by a long line, extra security check or traffic jam. The earlier you can begin booking your travel arrangements, the better your chances of snagging cheaper flights and saving big on your holiday travel. Think months in advance, rather than weeks, to beat the rush for these in-demand tickets. While you can also try your luck by waiting until the last minute to snag a leftover ticket at a cheaper price, you don’t want to jeopardize your holiday plans. Book early to secure your ticket at the best price. Book an early flight. Your best bet for avoiding crowds during the holiday season is to fly extra early. Booking the first flight of the day means you’re less likely to deal with delays and hectic situations at the airport. If you’re traveling with kids, it’s also easier to avoid the afternoon tiredness and get the flight over and done with. Book non-stop flights. Don’t let your layover turn into a travel delay. Avoid the possibility altogether by booking a non-stop flight if possible. Bad weather, logistical delays and lost baggage are just a few reasons that connections can ruin your journey – especially if you’re traveling with children. If you’re stranded in the connection city, it’s neither home nor your destination, and although it can be up to 40 percent cheaper to do so, we recommend saving your connecting flights for off-peak season. 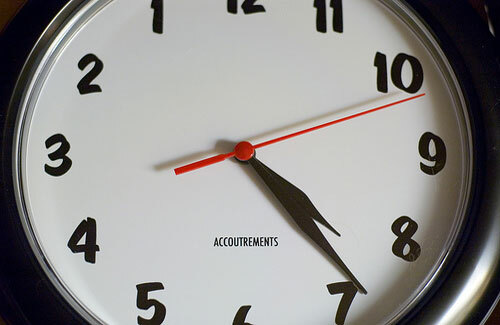 Nonstop routes are more concrete with easier estimates on arrival times. As always, flexibility is a core principle for keeping holiday travel costs and hassles to a minimum. The flights closest to Christmas and the weekend between Christmas and New Year’s are when the crowds and costs will be at the highest. Try a Thursday to Thursday trip to buck that trend or, better yet, catch a Christmas or New Year’s Eve flight for a more affordable and pleasant experience. You may even get a free celebratory drink from the airline. Obviously, booking an inexpensive flight is a goal anytime you travel, but, especially around the holidays, pay attention to connection details as well. 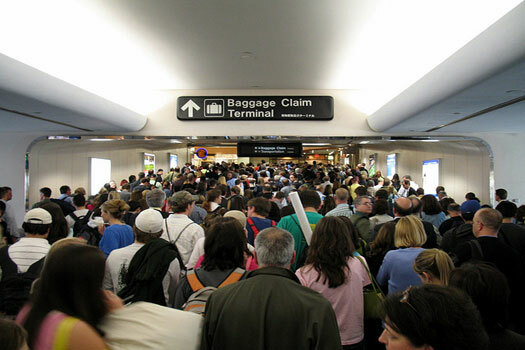 It’s better to have a long layover than to risk rushing through an overcrowded airport to your next flight. If you don’t make the connection, it’s long odds there will be a seat on the next plane. And, with winter weather in the mix, it’s good to pad your connection time even more if your travel involves any locations that have the potential for snow and ice. The best holiday gift to give yourself might be a direct flight. Our gift to you is some extra advice: avoid the last flight of the day on a connecting flight so you don’t end up sleeping in the airport if something goes awry. Folks eager to get away for a beach vacation should look for the deal rather than the destination. Instead of Miami this Christmas, how about a beach town on the Gulf like Fort Myers or Sarasota? The bottom line: do your homework. If you can’t book a non-stop flight, book a connecting flight with a long layover. This gives you time to get through the airport and deal with any unexpected travel delays. If you have an extra-long layover and the airport is in close proximity to the city, like Las Vegas or Atlanta, use the time to see the sites. While you may always fly out of the closest airport to you, compare fares between your preferred airport and nearby airports. Other airports in the area may offer cheaper fares. They may also have flights operated by low-cost carriers that don’t service your preferred airport. Depending on the fare difference, you might end up saving money even if you need to rent a car to get to and from the alternative airport. Flying into or out of alternative airports near your destination (for example, Long Beach instead of Los Angeles or Manchester, NH instead of Boston) could be a potentially money-saving move. Check out our Airport Affordability Index to find the most affordable airports in the U.S. While sitting in the airport on Christmas Day may not sound glamorous, it can help you score a cheaper ticket. Since demand for flight tickets on the actual holiday is lower than the days before and after, tickets may be offered for less. Another bonus? You’ll find smaller crowds, too. 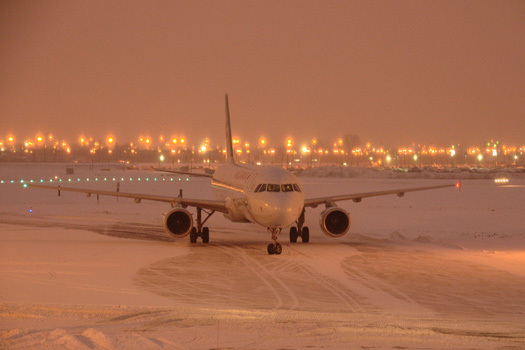 Many times the lowest fares go to travelers willing to fly on the holiday itself. Plus, the cheer can be felt 35,000 feet in the air for flexible fliers, as some airlines are particularly festive. Lufthansa in Christmases past has cooked traditional German meals and decked cabins with wreaths and decorations so passengers – and flight crews – can share in the celebration. Airlines are charging more and more fees these days, for everything from legroom upgrades to checked bags. If you’re looking to travel on the cheap, avoid common fees by traveling with a carry-on only, booking your seat in the main cabin and bringing your own snacks. Blackout dates from airlines and people who plan months and months in advance have combined to make sure that there are virtually no seats left in the holiday season for a reasonable number of points. Unless you’ve been banking points for years and have no bigger plans for them or are a Super Elite flier, this is one of those times when spending cash is a better long-term investment. If a hotel stay is in the mix for your Yuletide travel, don’t overlook the cost savings of “flights+hotels” search. With peak prices on both airfare and hotel rooms, you will want to get the best collective deal possible, and most online sites offer packaged pricing when you book lodging at the same time as your flight (some even include car rental costs, too). New York is simply spectacular during the holiday season, and Christmas travel deals to New York are easy to spot if you book flights early to Newark, LaGuardia or JFK airports. Once you’ve settled in at your hotel, stroll down Madison and Fifth avenues and take in the illuminous window displays at iconic department stores like Macy’s, Saks and Barneys. After window shopping, lace up your skates at the Ice Skating Rink at Rockefeller Center and pirouette – or cling to the wall for dear life – under the soft glow of the Rockefeller Christmas Tree. If the rink’s too crowded – as it tends to be around Christmas – walk a few blocks south to the rink at Bryant Park, then shop at the surrounding holiday market. Save money with our 20 things to do in New York for under $5. Typically travelers get the most bang for their buck on Christmas travel deals if they bundle flights, accommodations and even activities into a single package. Travel sites like yours truly offer handpicked deals consistently, especially to island destinations. Consider the Caribbean this Christmas if you’re interested in white sand rather than snow. The Bahamas, Barbados and Puerto Rico all offer up sun, sand, and a taste of Caribbean culture. For something quaint, consider a lesser-known island like Saint Croix, part of the U.S. Virgin Islands, as home base. Book a boat trip for snorkeling or scuba diving around Buck Island before shopping and dining in Christiansted, the island’s largest town. Obviously ‘large’ is a relative term; Christiansted has a population of 3,000. Take our quiz to determine which Caribbean island you should visit. Prague is an absolutely enchanting city year-round, but especially during the holidays. Christmas markets set up shop in Old Town and Wenceslas squares, offering toasty retreats like spiced wine and Czech beer. The magical town center is everything you’d imagine Christmases past in Europe to be: bustling and carol-filled. Within the market, children get the chance to take in a puppet show or paint ornaments. After stocking up on stocking stuffers, snap photos of Prague Castle – the largest ancient castle in the world – and the world-famous Astronomical Clock. For more tips on holiday travel, check out our Holiday season travel survival guide.